George Gant, Retired Chemist at Dow Corning Corporation, has been recognized by Marquis Who’s Who Top Scientists for dedication, achievements, and leadership in chemistry. Mr. Gant entered the field of chemistry due to his desire to make unique contributions that can help humankind. 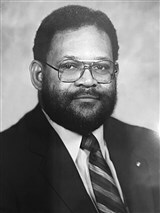 He prepared for this goal by earning a Bachelor of Science and a Master of Science from the North Carolina Agricultural and Technical State University in 1962 and 1965, respectively, before earning an MBA from Central Michigan University in 1973 and a Professional Master’s Degree from Harvard University in 1980. He has spent the entirety of his career dedicated to the Dow Corning Corporation where he has served as a chemist, program manager and corporation manager of special assignments, among other positions. In addition to these roles, Mr. Gant has contributed numerous articles to professional journals, holds patents in the field of chemistry, and has lectured both domestically and abroad. Mr. Gant considers his proudest accomplishment to be serving as chairman of the board of numerous organizations. He has led and pushed members to strive for greatness and do wonderful things that they did not previously think they could achieve. These organizations included the Midland Black Coalition, the Adhesives and Sealants Council, the Lake Huron Area Council of the Boy Scouts of America and the Michigan Multiple Sclerosis Society. Furthermore, Mr. Gant has founded the GL Gant Pace Award for those who have achieved greatness in their fields. As a testament to his success, Mr. Gant has been lauded with the Albert Nelson Marquis Who’s Who Award and has been featured in multiple editions of Who’s Who in America.